This past week I've spent with the writing of a new to me author, Katherine Webb, and quite happily so; I've come away from reading The Legacy glad to have two more of Katherine Webb's novels on my unread shelf. New to you authors can be so hit and miss, and that's why a lot of the books on my unread shelf tend to be by author's whose writing I have yet to experience, however I think I'll be trying a few more of those in the coming months. Alongside The Legacy I have also been reading another Christmas orientated book - The Young Oxford Book of Christmas Stories. I'd heard nothing about this collection of stories until picking it up on a whim at my local library, but the stories shared are varied in content and not what you would consider to be traditional Christmas reading. 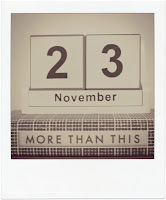 On to my current read, I'm starting this week with More Than This by Patrick Ness. I tend to avoid chunksters, and that's the predominant reason More Than This has been sitting on my bookshelf for so long. With these colder days and darker nights, I'm finding myself more inclined to waste away an evening purely reading, so what better time to pick up a chunkster, right? I'm not too sure if I'll be fitting in a seasonal read for my 'Christmas Reading' feature this week though because of More Than This being so lengthy - my edition stands at 480 pages! I'm with you on long books. I have several that I want to read so bad, but I have a hard time making the commitment. Same with starting series. I need to get over my issues with both of those, because I know I'm missing out on some amazing books. So great that you discovered a new author to love! That's such a good feeling! Haha! I'm the same with series too... I'm better if I'm reading a series all in one go as opposed to waiting x amount of years for each one to be released. Clearly I'm facing that commitment fear with the chunkster this week, and planning on a series next week. We shall see. I say these colder months are a great time to delve in to the longer ones, if you were wanting to, also, e-books are good for longer ones because you can't 'see' the length. It sure is - and even greater that two more of her books are residing on my shelves! 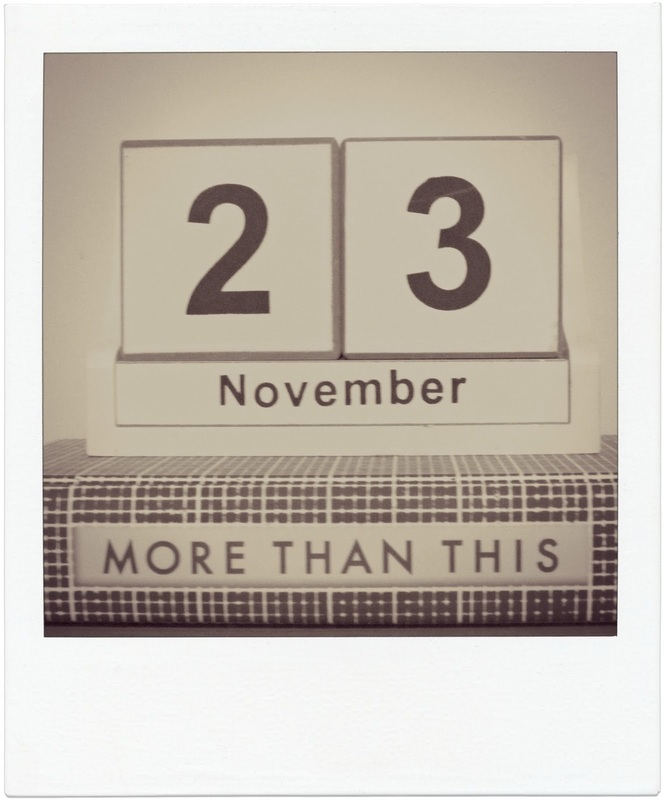 More Than This is on my "books I hope to read soon" list. I agree that long, cold winter nights are perfect for getting through this long reads! It's been on that list of mine for quite some time, so hopefully it will prove to be a good 'un! I used to read a lot more chunksters than I do now, but what a great idea to savor a book on a wintry evening. Thanks for sharing...and enjoy. And thanks for visiting my blog. Coupled with a nice hot drink, it sounds like a great way to spend the hours of an evening! More Than This is an interesting read. Hope you enjoy it. Have a great week. I've heard a lot of good things - it's my second Patrick Ness novel so I think it will give me a greater insight in to his writing style too. It is wonderful when you discover a new to you author and you love their writing. And it is even better if you have a few more of their books to read! Must look her up. I've only read one of Patrick Ness's books, but that one looks really good! Thanks for stopping by! Happy reading! I've only read one other Patrick Ness book - A Monster Calls - but I'm keen to delve in to his writing a little more. Thank you! Glad to see that you're enjoying Katherine Webb - I really need to try her books. This is my second Patrick Ness book - I've avoided immersing myself in his writing too much as he is an author who is highly talked about, and I tend to leave those kinds of things for a little while until hype goes down so I don't set my expectations too high. I have a feeling I'll really enjoy his writing though. I'm finding I'm ge0ttting through it quite quickly too, the chapters are relatively short so that makes for speedier reading. Picking your next read is a lot harder than it seems!! I enjoy finding new authors. Glad to hear Katherine Webb is one to look for. Finding new authors is a double edged sword - on the one hand it's great to discover new authors, but then you want to read their backlist of books!